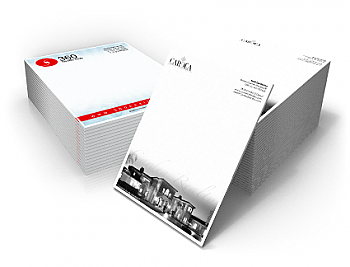 Notepads come in 25 or 50 sheets backed by chipboard and are glued at the top. They are available 4 color and one side (4/0) or two sided (4/4) printing. Available on uncoated 70lb linen and Opaque.